A 2013 report from the World Bank — Where have all the poor gone? — showed that the single factor that lifted more Cambodians out of poverty than anything else, over the last decade, was a global increase in the price of rice. The report also concluded that Cambodia could not expect such global price increases to continue. However, a global increase in the price of everyone’s rice is not necessary for Cambodia’s regional development. An increase in the amount of Cambodian Jasmine Rice that is sold at that higher price. Here’s why price matters, how to get a higher price, and how to increase the amount of rice sold at a higher price. Most Cambodians are subsistence farmers, growing barely enough rice for their families to eat plus a little bit extra to sell. Selling that “little bit” is their primary source of cash income. In the last decade, getting a higher price for that “little bit” has lifted many of them out of poverty…but only just barely. If the global price of rice falls back to its previous levels, most Cambodians will fall back into poverty. Let’s look at each of these developments in turn, and then see how, together, they enable a new strategy for Cambodian regional development. Cambodian Jasmine Rice is the world’s best rice. That’s not an opinion; it is an established fact. In The Rice Trader’s international “The World’s Best Rice™” competition, for three years in a row 2012, 2013, & 2014), different judges, from different countries, all reached the same conclusion: Cambodian Jasmine Rice is The World’s Best Rice. Even Cambodia’s leading competitors agree that Cambodian rice is better. In 2014, Mr. Chookiat Ophaswongse, an Honorary President of the Thai Rice Exporters’ Association, said: “Honestly, Cambodian fragrant Jasmine Rice nowadays, its quality is somehow better than Thai.” Mr. Ophaswongse deserves credit for making such a startlingly-honest admission. Marketers will rarely admit, as he did, that their competitor’s product is superior. However, the superiority of Cambodian Jasmine Rice — even if widely known among consumers — is not sufficient, because under today’s typical packaging, storage, and shipping conditions, the superior quality of all jasmine rice fades away before it reaches its high-value export markets. The unique qualities of all jasmine rice — its unique flavor, fragrance, and tenderness — are due to a complex suite of naturally-occurring aromatic compounds, notably 2-Acetyl-1-Pyrroline, abbreviated “2AP” (for details, see The Science of Jasmine Rice). Under typical conditions, these aromatic compounds fade away very quickly. Within just two or three months, they’re half gone; within six months, they’re nearly all gone (see figure below). Clearly, then, to capitalize on the recognized quality of Cambodian Jasmine Rice, it must not be shipped and stored in “typical conditions.” Instead, it must be shipped and stored in conditions that preserve its flavor, fragrance, and tenderness. Fortunately, the necessary conditions are already well-known: refrigeration. In the last decade, temperature-controlled containerized shipping has revolutionized the international food industry. To the American consumer, nothing is ever “out of season.” Table grapes from Chile, truffles from New Zealand, lamb from Australia — everything from everywhere is available at all times. Cambodia’s decades of civil war delayed its integration with this new global cold chain, but now it has reached Cambodia, too. Scientific studies have repeatedly shown that refrigeration — at temperatures near or below freezing — is the only storage condition that can retain the special qualities of jasmine rice for an entire year. Historically, refrigeration has been unaffordably expensive for rice, because rice is a low-margin bulk commodity, like wheat. However, recent developments — such as 2015’s collapse in the cost of energy and cost of containerized shipping — have made refrigerated shipping much more affordable. Similarly, the conversion of old limestone mines into underground cold storage facilities has significantly reduced the cost of such storage. The new affordability of cold shipping and storage, combined with Cambodian Jasmine Rice’s new status as The World’s Best Rice, enables Cambodia the unique opportunity to de-commoditize Cambodian Jasmine Rice. A commodity is a product that is differentiated by price alone. Once international grading standards are established and enforced, all products of a given grade are, by definition, “the same” (i.e., fungible). If you and another vendor supply “the same” product, then the only differentiating factor, ultimately, is price. Vendors often imagine that service, reputation, and other factors can affect price, but this is only true insofar that buyers buying from vendors with poor service and reputation run the risk of incurring additional costs that must be added to the vendor’s listed price. Ultimately, in a commodity market, price is the only factor. Such a product is said to be “commoditized” by the emergence of international grading standards. De-commoditization reverses this process, by creating a new differentiating factor — beyond price — or a product that is currently a commodity. De-commoditization requires establishing within the mind of each targeted consumer that the product has a unique benefit that justifies its higher-than-commodity price. As previously stated, being recognized as “The World’s Best Rice™” is not, by itself, sufficient to de-commodidize Cambodian Jasmine Rice, because — in typical conditions — its “world’s best” qualities fade too quickly. However, the new combination of (1) Being recognized as “The World’s Best Rice”, plus (2) Refrigerated shipping and storage, makes the de-commoditization of Cambodian Jasmine Rice possible for the first time. The key benefit of de-commoditization is a higher-than-commodity profit for everyone in Cambodia’s rice value chain from seed provider to exporter. Because that value chain embraces half of Cambodia’s population, increasing its profitability can have immense impact on Cambodian poverty. Just as a global increase in the price of rice helped lift Cambodians out of poverty in the last decade, de-commoditization can help lift more Cambodians even farther out of poverty in the next decade. Furthermore, de-commoditization can keep Cambodians from falling back into poverty if the global price ofcommodity rice declines. Studies have shown that the price of premium rice has been more stable than the price of non-premium rice. Lastly, Cambodian may have no choice. Some experts are already projecting that Cambodia’s commodity-focused export strategy cannot succeed, and indeed may collapse within seven years. Cambodia simply cannot succeed at the commodity game. Thailand’s infrastructure is so much more efficient, that although its farmgate prices are higher, its Free On Board costs (including milling, storage, transportation, & port costs) are lower. Cambodia’s only price advantage is its lower farmgate prices — that is, Cambodian rice farmers are so desperately poor that they’ll accept nearly any price. The desperation of one’s farmers is not a sustainable competitive advantage. How High is the De-Commoditized Price of Cambodian Jasmine Rice? A very high “upper bound” — $20 for a 2-pound bag (907g, hence $22/kg) — for de-commoditized Cambodian Jasmine Rice. If my KickStarter campaign succeeds, then the upper bound is at least that high; maybe it’s even higher. If my KickStarter campaign fails, then the upper bound is likely to be somewhat lower — maybe $20/kg, $18/kg, or $16/kg. Later crowdfunding campaigns, on other platforms, can explore demand for different combinations of price & benefit (frozen, refrigerated, blended, vacuum-packed, organic, brown, whatever). In any case, the upper bound is likely to be much higher than the $1/kg often sought as “good price” for 50kg bags of Cambodian Jasmine Rice today. Today, Cambodia’s rice exporters have high costs, but are unable to command a correspondingly high price. They are attempting to “price up” from the low prices at which Vietnamese rice is profitable, and the slightly higher price at which Thailand’s rice is profitable. This is a strategic error. Once the upper-bound on the price of de-commoditized “world’s best, harvest fresh” Cambodian Jasmine Rice has been established, other Cambodian Jasmine Rice exporters can “price down” from that upper bound. A 2kg bag of refrigerated Sen Kra Oub at $18/kg (New Opportunity 1 below). A 2kg bag of a refrigerated varietal blend at $12/kg (New Opportunity 2 below). A 50kg bag of a refrigerated varietal blend, targeted at top-end restaurants, at $5/kg (New Opportunity 3 below). By pioneering the North American market with ultra-premium, technologically-sophisticated rice products, AwardBest helps Cambodia establish a “high quality” brand reputation that can increase the profitability ofall of Cambodia’s exports to North America. Such branding could include not only rice, but other products and services, too (like “100% Pure New Zealand,” which began as a tourism brand and morphed into a origin brand for products such as milk). Farmers with access to irrigation water should not, generally speaking, grow Phka Rumduol™ — the very best variety of Cambodian jasmine rice. It takes too long to mature and produces too little rice per hectare. They can make more money by growing multiple crops of faster-maturing rice, rotated with other crops. This is well-known. Only farmers without access to irrigation, and with relatively infertile land, should grow Phka Rumduol. Yet it is exactly these farmers — the ones with the least-fertile land, with the least access to irrigation, and with the least capital to invest in fertilizer — who are, generally speaking, Cambodia’s poorest farmers. They are the farmers who would benefit most from the establishment of a much higher price for the very best quality Cambodian Jasmine Rice. Furthermore, studies have shown that jasmine rice grown with cheaper inputs — less fertile soil, less fertilizer, less irrigation, more salinity, etc. — produces harvests with higher levels of the aromatic compounds that give jasmine rice its unique qualities. (See The Science of Jasmine Rice.) That means that the poorest farmers — the ones already growing Phka Rumduol, because it grows well on marginal land, and because they have few other options — are already growing rice with the highest concentrations of these quality-boosting aromatic compounds. They just aren’t profiting from this fact, because they currently receive little or no bonus for their rice’s superior aromatic quality. By creating a market for ultra-premium Cambodian Jasmine Rice, demand for rice with superior aromatic qualities will rapidly emerge, giving Cambodia’s poorest rice farmers a poverty-reducing advantage in the marketplace. Isn’t the niche for quality too small? No. Cambodia is a small country. Its rice exports are still small, relative to world demand. 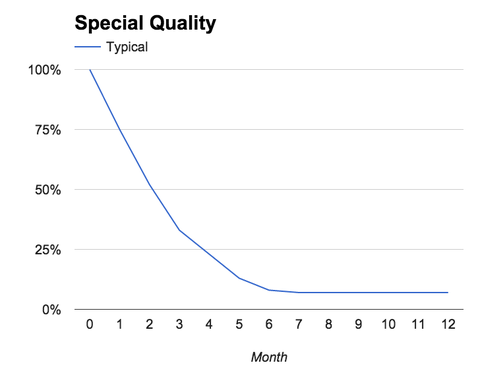 Furthermore, increases in quality can stimulate increases in demand. Consider frozen foods: the development of the frozen meat supply chain in the late 1800’s, and of the frozen vegetable supply chain in the early 1900’s, increased the rich markets’ demand for meat and vegetables respectively, by ensuring a consistent, high-quality supply. Many rich markets do not currently demand high-quality rice in part because it’s not available at any price. De-commoditizing jasmine rice can increase demand for it, enlarging Cambodia’s export opportunities. Consider French champagne. The entire “old Champagne” region is devoted to its production. And that is only a tiny part of France’s huge “fine wine” industry. “Ultra-premium quality” is a small niche — but Cambodia is a small country. Let larger countries, such as Thailand and Vietnam, tread on each others’ backs in their race to the bottom of commodity pricing. Let Cambodia race to the top, instead — and have the market to itself. What if Cambodian Loses Future “World’s Best Rice” Competitions? There is no guarantee that Cambodian Jasmine Rice will continue to win The World’s Best Rice competitions in future years. However, if Cambodia were to embrace quality as its goal, winning consistently would become much easier. AwardBest has also helped instigate a future ACIAR research project in Cambodia, focused on identifying the key factors that can systematically increase the quality of jasmine rice “from paddy to plate.” This new research project — tentatively scheduled to being in 2017 — could help Cambodian farmers implement practices that consistently produce jasmine rice of the best possible quality. Cambodia has a lock on the Four-Year Moving Average of Rice Bestiness™ through the Autumn of 2016, whether it wins in the competition 2015 or not. However, Cambodia needs to win the Autumn 2016 competition, or it won’t have the “bestiest” rice anymore. Isn’t the cold chain expensive? Yes — but it’s cheaper than the alternative. To make “warm” exports of Cambodian Jasmine Rice competitive with Thai and Vietnamese prices, Cambodia’s infrastructure — including its electricity generation & transmission (for rice mills), its road networks, its rail networks, ts port facilities, and its culture of “informal charges” — would all need major development. Some of this investment has already taken place; more is ongoing; but it is demonstrably not sufficient, or experts would not today be talking about the imminent collapse of Cambodia’s rice exporting industry. The key elements of a cold chain — quick-freezing facilities, cold storage warehouses, and refrigerated container loading — can be concentrated in Cambodia’s port cities (Phnom Penh and Sihanoukville). Some of that infrastructure already exists. Milled rice can be brought into these port cities “warm” (using Cambodia’s existing non-refrigerated infrastructure) and then quick-frozen, stored, and re-containerized into refrigerated containers in the port. The recent completion of many hydroelectric dams in Cambodia, including one near Sihanoukville, combined with the recent collapse in the price of coal and oil, has reduced the cost of refrigeration. While building this new cold-chain infrastructure is not cheap, building it enables the export of de-commoditized, high-priced, high-margin rice, in ever-increasing amounts. It is an attainable objective. It is much more attainable than is building sufficient infrastructure to win a “race to the bottom” on price vs. Thailand and Vietnam. Also, rice is not the only product that would benefit from the existence of a cold-chain infrastructure. Cambodia produces a wide range of tropical fruits and vegetables that could be exported profitably if such a cold chain were available. Cambodia cannot outcompete its rice-exporting neighbors in a race to the lowest possible price. 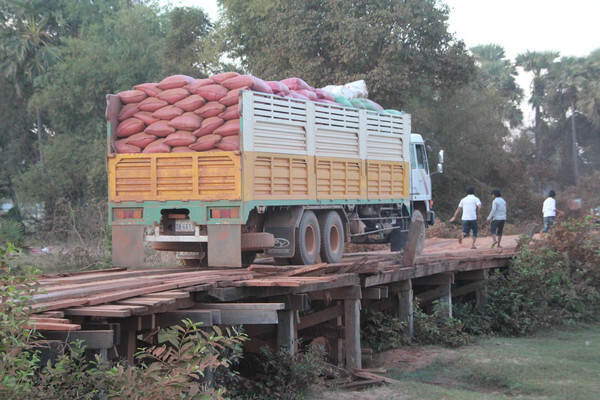 Cambodia’s infrastructure costs and informal costs are simply too high. Only by establishing a position at the top of the market, and relentlessly pursuing quality, can Cambodia establish a rice export industry that is sustainable and scaleable over the long haul. Focusing additional resources on the development of Cambodia’s cold chain. Expanding the strategic focus of Cambodia’s policies to emphasize increasing the quality of its rice exports — not just a marginal improvement, but a massive improvement, carving out a unique niche at the very top of the market. Helping make AwardBest’s KickStarter campaign succeed, thereby giving other Cambodian rice exporters the opportunity to “price down” from AwardBest’s price, rather than (at best) “pricing up” from Vietnam’s and Thailand’s prices. This post was written by Jim Plamondon and first appeared on Award Best.